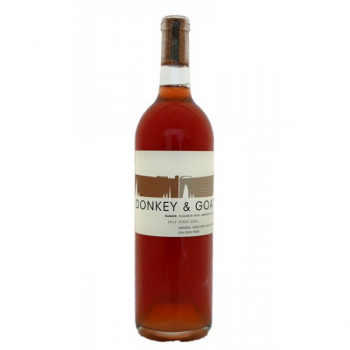 Description: Donkey & Goat Winery is owned and operated by Jared & Tracey Brandt in Berkeley, California. They make “natural wines” which is a term that covers both the vineyard and the cellar. That is what distinguishes natural wine– the extension of natural farming philosophies that drive the practices for sustainable, natural & biodynamic farming into the cellar. The Ramato (skin ferment) Pinot Gris from the Biodynamic Filligreen Farm is no exception. With up to five days on the skins, this wine boasts a dimensionality and depth that may surprise. The attributes Tracey (wine maker) describes as "Funkytown" will delight those who enjoy a more adventurous palate.